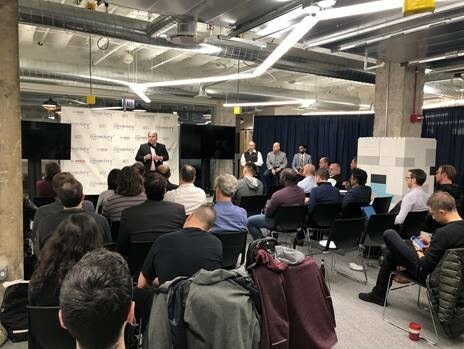 For this session, Jerry Quandt, executive director at ILAVA, moderated the panel with the participation of Vig Krishnamurthy, senior manager from Ford Motor Company, Gerod Carfantan COO at Sente Advisory, and Dr. Joe Schwieterman professor at the Chaddick Institute at DePaul. About 35 people attended the event. The discussion focused on the impact that fleets of connected and autonomous vehicles will have on our mobility network. An attendee and business development director in facility services, Len Kresten, really enjoyed the event.